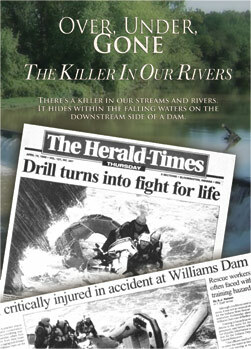 There are killers in our streams and rivers known as "low head" dams. The name implies low hazard and/or low impact, but that couldn’t be further from the truth. The water going over these dams is a Jekyll-Hyde death trap. Odds are, anyone unfortunate enough to get caught in their violent, unrelenting, whirlpool will not get out alive. In this new WFYI documentary, we see these notorious dams and get to know their victims, we talk with those trying to mitigate the dams’ threat, and we become better equipped to keep ourselves out of danger.